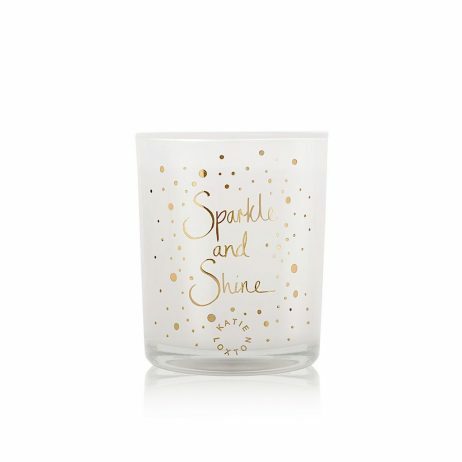 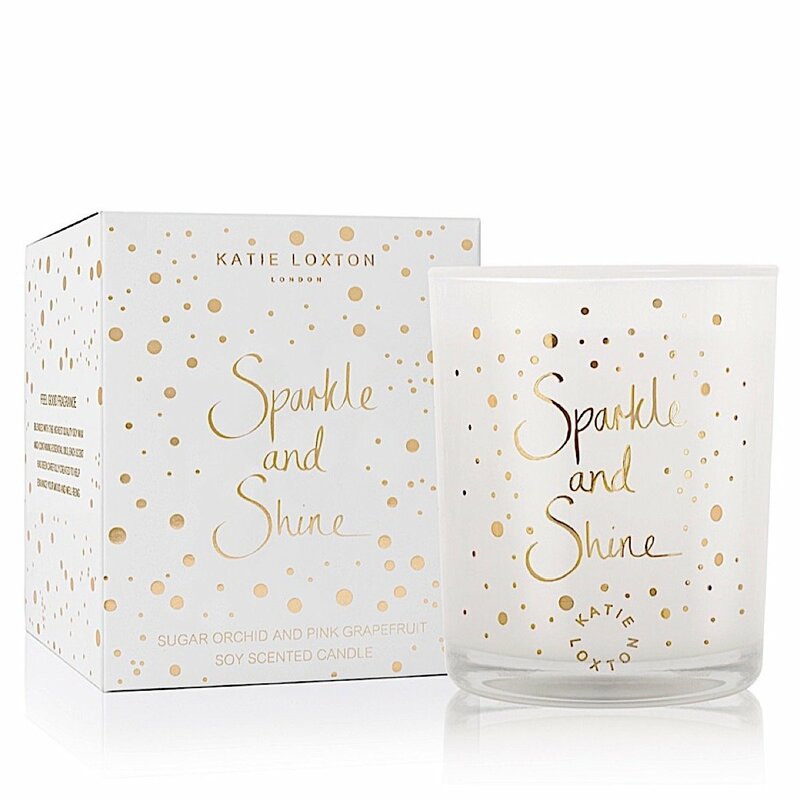 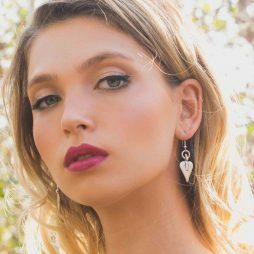 Crafted from the highest quality essential oils and soya wax with a floral, Sugar Orchid and Pink Grapefruit aroma in a sleek glass jar with the sentiment “Sparkle and Shine”. 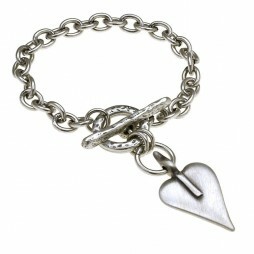 Presented in a gorgeous white with gold foil detail box to make this candle an ideal gift. 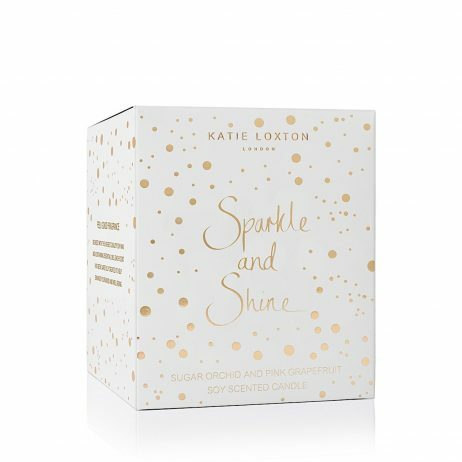 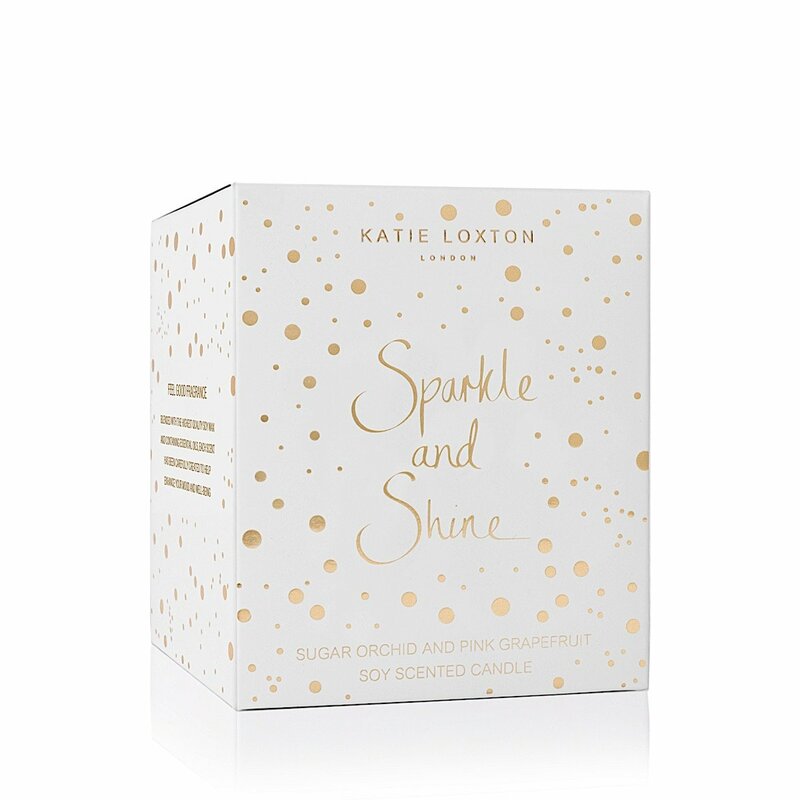 Birthday Gifts, Gifts By Occasion, Katie Loxton, Katie Loxton Candles, Milestone Birthday Gifts, Scented Candles, Gift Ideas, Gifts £20 - £40.